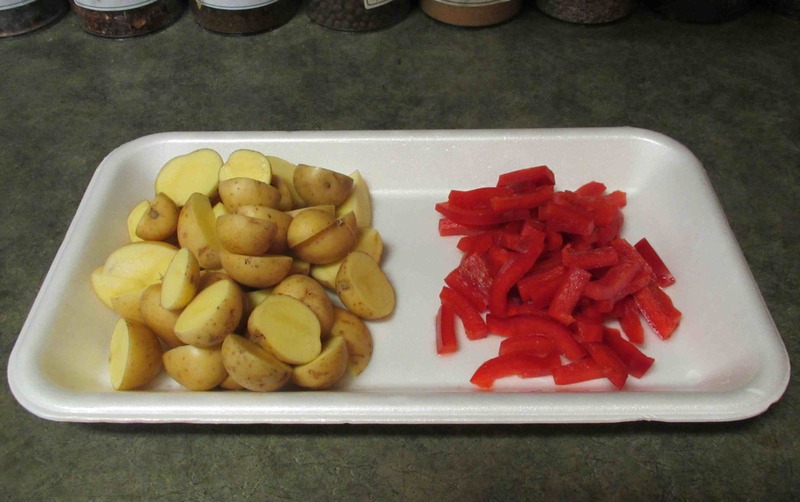 First, cut larger potatoes into quarters and the smaller ones in half, and then slice the sweet pepper into small strips. 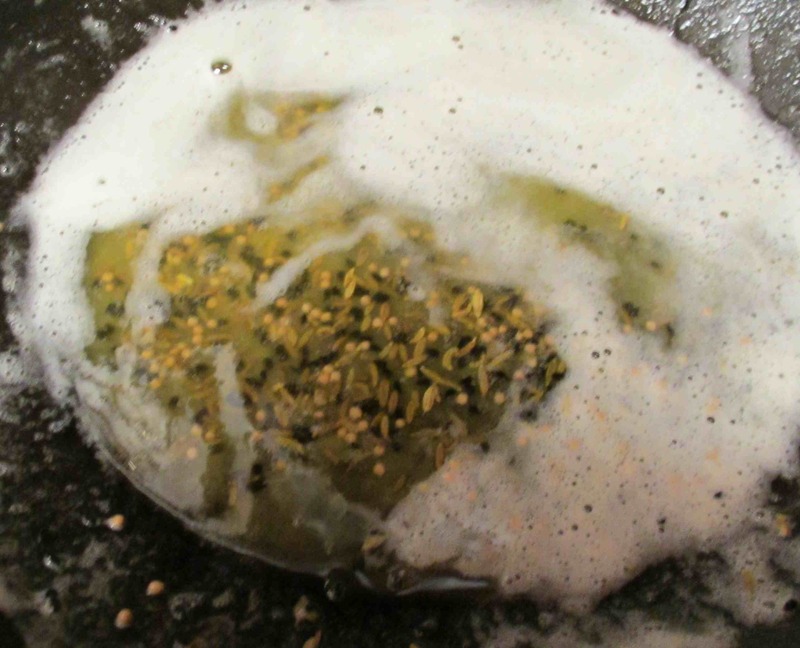 Melt the butter in a saucepan over medium heat and add the mustard, nigella and fennel seeds. 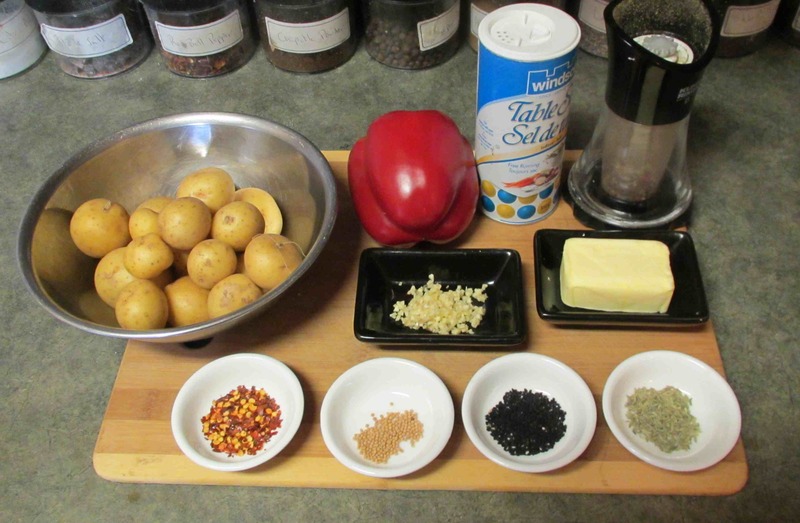 As soon as the seeds begin to give off their aroma, add the chili and garlic, stir for a moment or two, and then add the potatoes and pepper strips. Stir to coat the main ingredients with butter and spices and then season with salt and pepper. 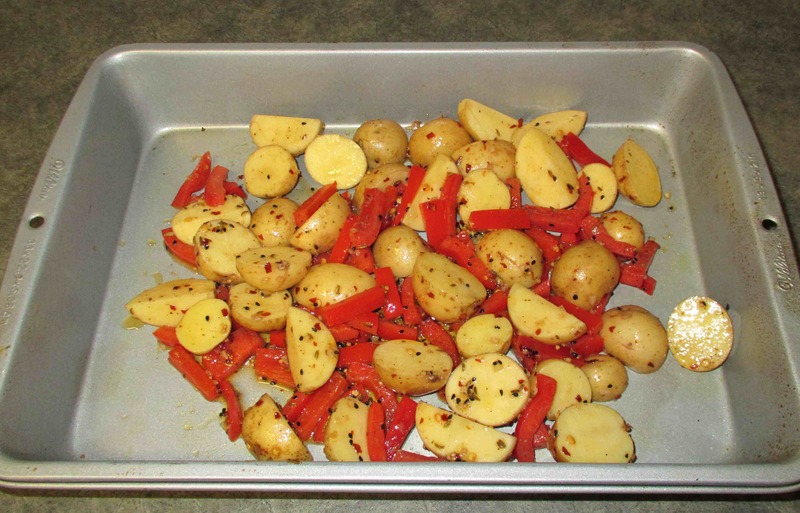 Finally, put the mix into a large baking pan and roast in a 425-degree oven for about an hour. Stir once or twice during cooking and then, when all is cooked through and just starting to get a little crispy and brown, turn into an appropriate dish for service. Garnish with parsley flakes or cilantro leaves if desired. looks great – but what are Nigella seeds – not Ms. Lawson’s special blend is it? Good experiment! I’ve got to try it out next time. I’ll bet you could even streamline the recipe a little more if you do the first few steps in an oven-proof skillet, then just transfer the skillet to the oven when you’re ready to roast. In any case, this sure does look yummy! Probably so …. didn’t occur to me actually! 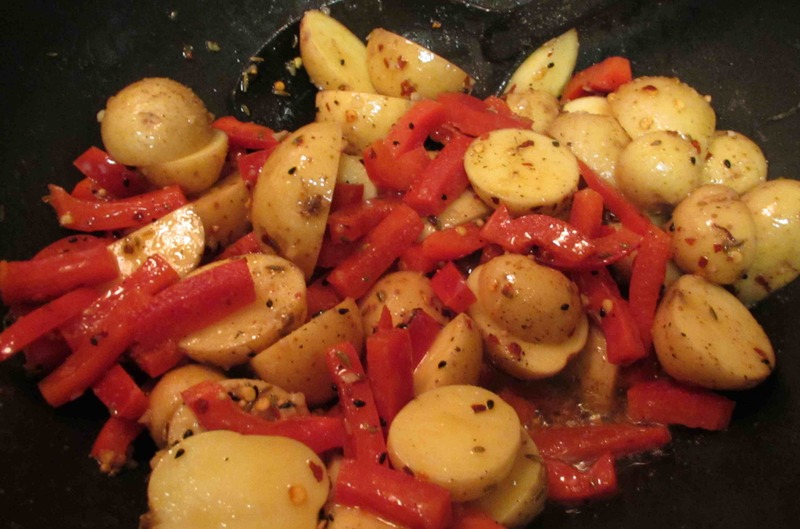 Thanks for visiting my blog 🙂 These potatoes look absolutely delicious! these look great! I have been fond of nigella seeds since first trying them as part of Armenian string cheese! Oooh … never tried that. I’ll remember it! Delicious!! Maybe some sour cream or yogurt would cool off the heat! This looks delicious! I love spicy food. And I love potatoes. 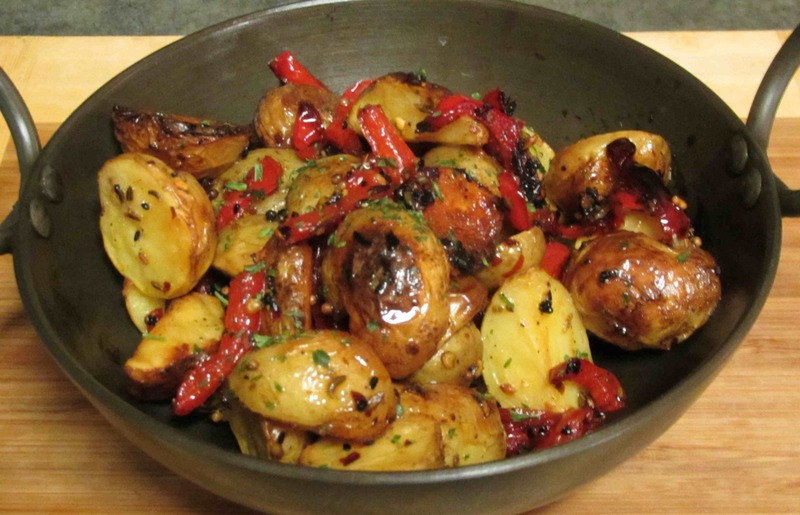 So spicy roasted potatoes? Oh, yeah!